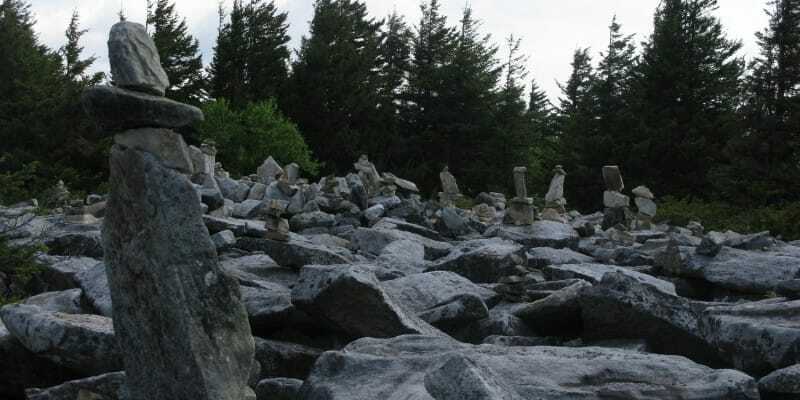 Spruce Knob, the summit of Spruce Mountain, is the highpoint in the state of West Virginia and is also highest peak in the Allegheny Mountains and Appalachian Plateaus. 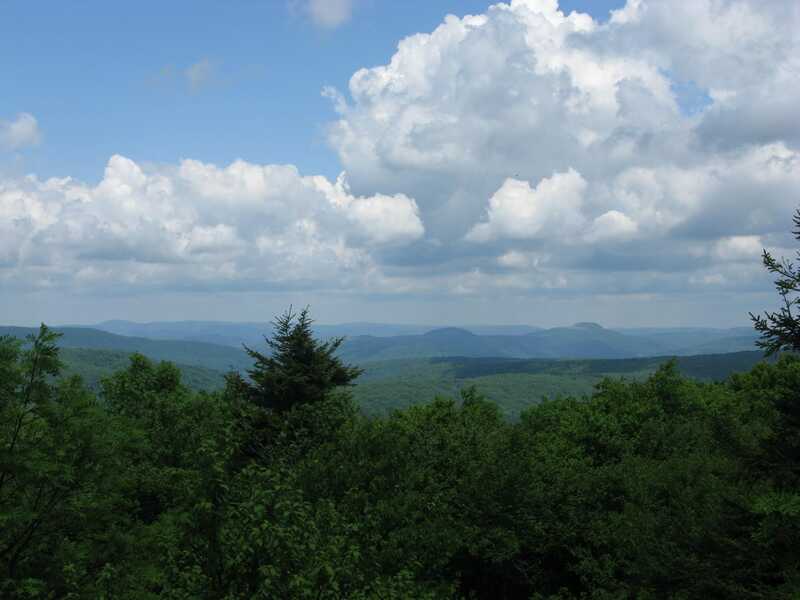 With an elevation of 4,861 ft., Spruce Knob provides tremendous views of the surrounding areas. This peak sits in both the Monongahela National Forest and Spruce Knob-Seneca Rocks National Recreation Area (NRA) near the town of Riverton, WV. The drive to the base of the mountain and then up to the summit is a time-consuming affair regardless of exactly where you’re coming from, as Spruce Knob is pretty isolated. 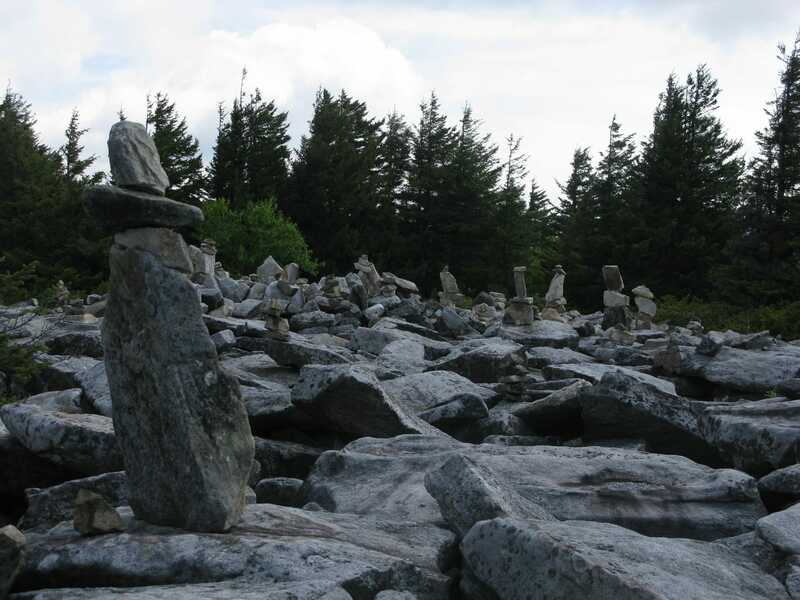 In fact, Spruce Knob is the 13th-most isolated peak in the lower 48 states and the 14th-most isolated U.S. state highpoint. Despite the isolation, it’s well worth the effort to get here, especially if you’re able to fit in a few hours of trail time. If you can fit in a few days of trail time, even better. If you drive to the summit parking lot, it’s an easy quarter-mile stroll (south from the parking lot) to the observation tower. 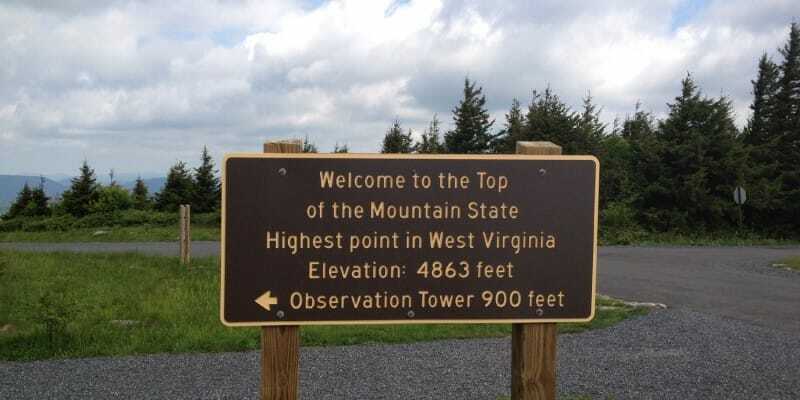 If you don’t have the time to hike the minimum 14 miles it takes to truly hike to the summit, there’s always the option to drive up to Spruce Knob and hike a portion of a trail going down from the summit. 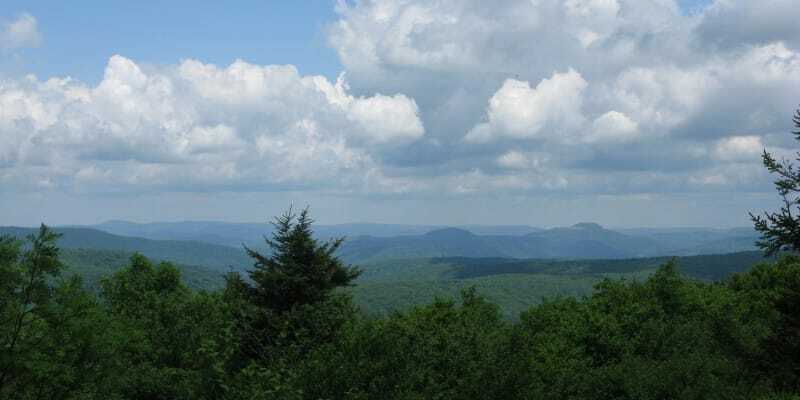 We did just that when we visited Spruce Knob, hiking about 6 miles (roundtrip) of the Huckleberry Trail (#533). Rumors had it that it can be pretty windy near the top of Spruce Mountain, and those rumors proved true. The forest near the summit is dense spruce forest that clearly shows the effects of existing in a high-wind environment. The spruce tree get shorter the higher you get and many are bruised and battered from storms past. Sometimes visiting a state highpoint has an “ok, been there done that and not going back” feel and other times it has more of an “I need to come back and explore” feel. Standing atop Spruce Knob brought on the latter feeling. It’s obvious that this area has a lot to offer outdoor enthusiasts – hiker, mountain bikers and climbers. I’ll be back. 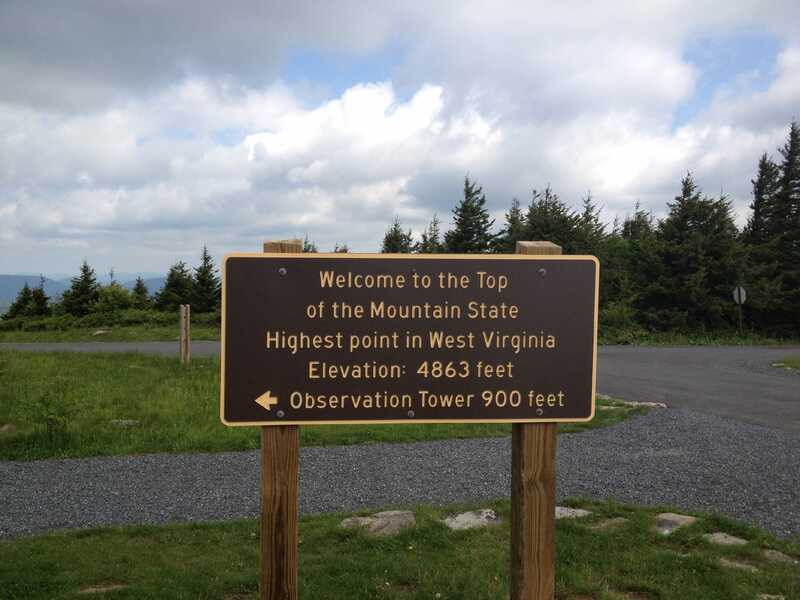 Tip: If you’re interested in hiking to the summit of Spruce Knob instead of driving up to the observation tower, try this route: Lumberjack Trail (#534, formerly known as Spruce Mountain Trail) to Huckleberry Trail (#533). This route is about 7 miles (14 miles roundtrip). The trailhead to the Lumberjack Trail can be found on Forest Road 112. Traveling on US-33, head west on County Road (CR) 3314. There should be a Spruce Knob sign at this intersection (there was when we were there). After about 2.5 miles, 2.4 miles, turn left onto Public Road 112. Follow Public Road 112 for about 7 miles, and then turn right onto Public Road 104. Follow Public Road 104 for nearly 2 miles to the Spruce Knob parking lot. The true summit and observation tower are about a quarter-mile walk to the south. 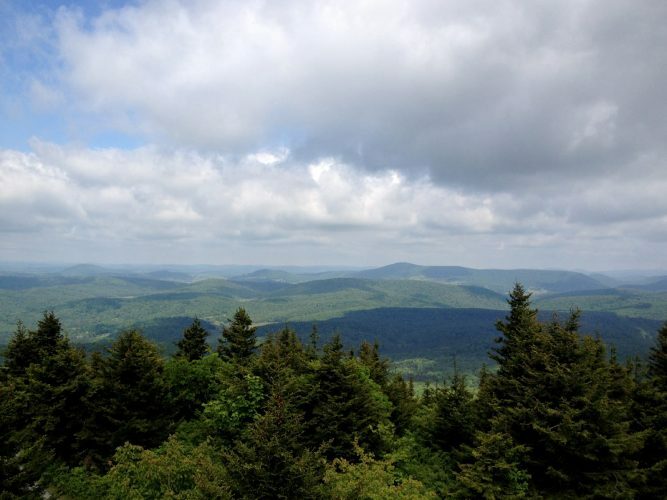 Spruce Knob is in a great area, isn’t it?